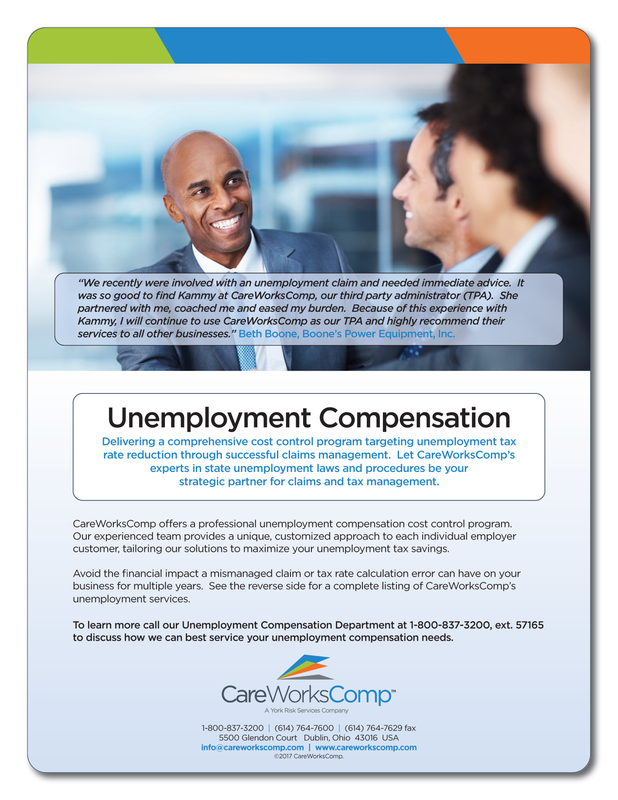 We partner with CareWorksComp to deliver the most significant cost savings to our members. CareWorksComp embraces a results-oriented approach that fully integrates safety prevention and risk control with aggressive claims management to deliver a significant return on investment. 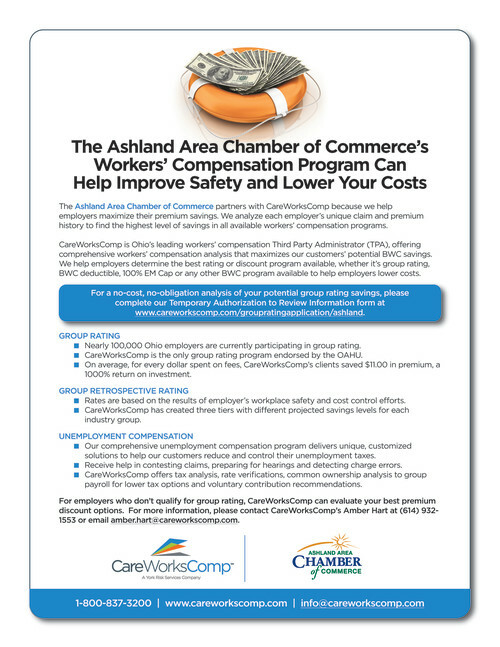 The Ashland Area Chamber of Commerce and CareWorksComp can analyze your company to determine the BEST workers’ compensation premium-saving program for you. Group Rating – CCI’s group rating program is the only plan endorsed by the Chamber. In one year alone, Chamber members saved $177,000 on their workers’ compensation premiums. Group Retrospective Rating – This program offers premium refunds can be as high as 63%and can be a great alternative for companies unable to qualify for traditional group experience rating. Deductible Program – This program offers discounts (up to 77%) on premium rates in exchange for accepting a specified deductible amount. Self Insurance – Companies pay compensation and medical costs directly for work-related injuries avoiding escalating reserves and premiums charged by the Ohio Bureau of Workers’ Compensation. 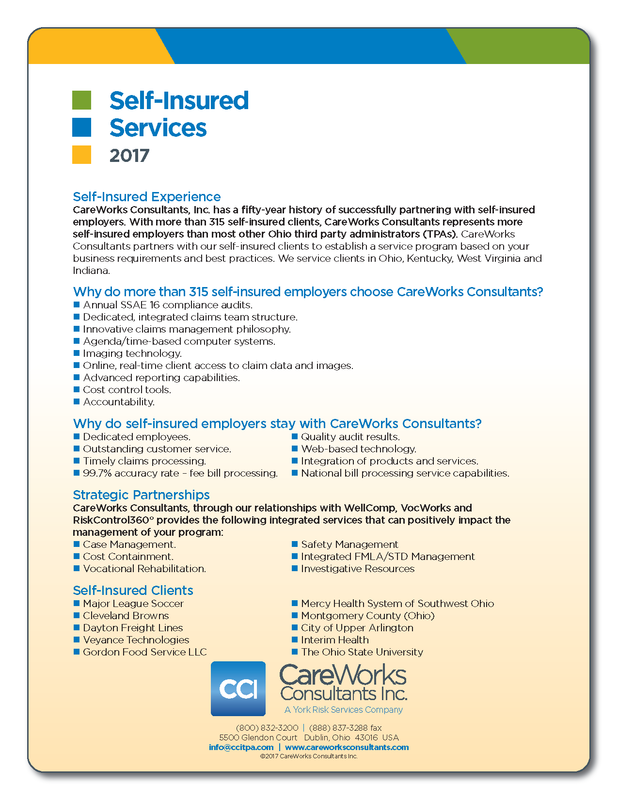 CareWorks Comp serves more Ohio self-insured employers than any other third party administrator. 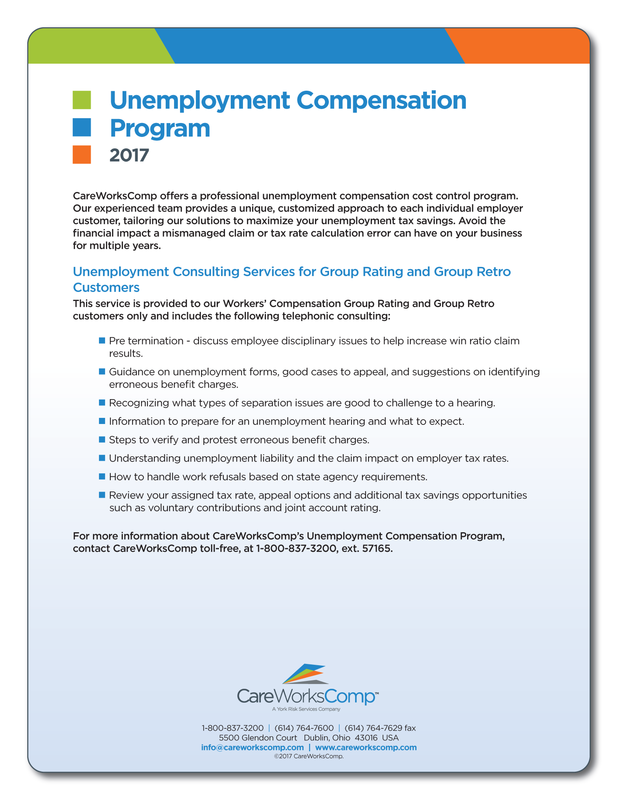 As a result of their best-in-class service, CareWorks Comp has consistently maintained a 97% retention rate - one of the highest in the industry. Put their team to work for you.